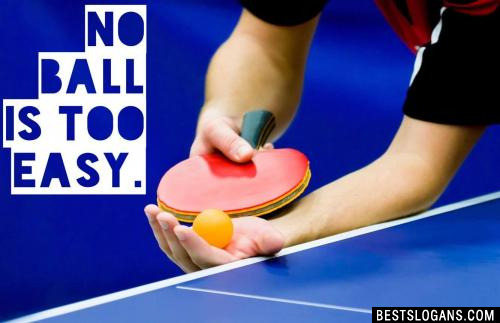 32 new entries added to ping pong slogans, that include pictures. 1. Get low; stay low! Early table tennis paddles were normally made of cork, cardboard, or wood, and covered with cloth, leather or sandpaper. 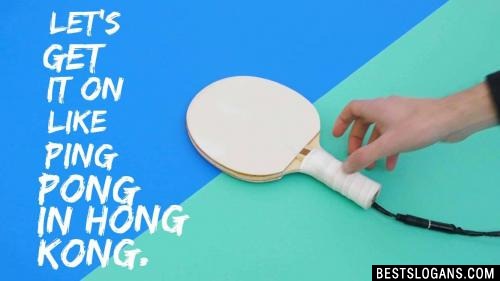 Here are some more facts about Ping Pong that you may not know yet. Table tennis helped restore the relations between the United States and China in the 70s. It's considered the no. 1 brain sport in the world. 1 Get low; stay low! No ball is TOO Easy. 3 Place the ball where it wants to go. 4 Play the point, not the situation. 5 Finish your stroke...THEN move. 6 Always think...The ball IS coming back! 8 Spin is the name of the game. Let's get it on like Ping Pong in Hong Kong. 10 The more you hit the more you win. 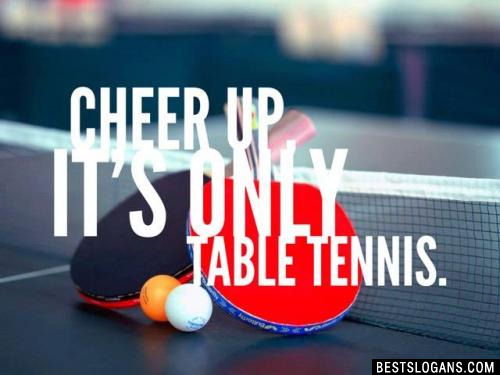 Cheer up, it's only table tennis. 14 The spin cycle is on high. 16 Keep calm and Ping Pong. 20 I beat Forrest Gump. 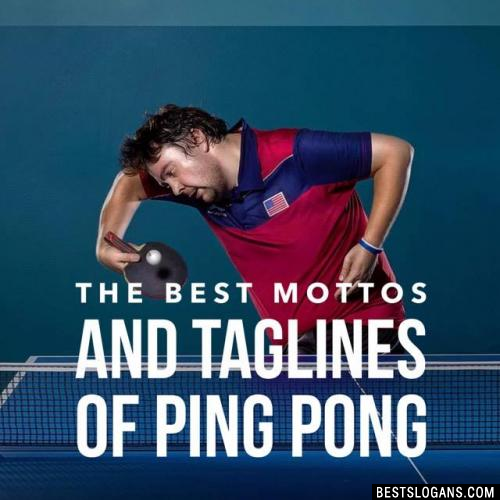 Can you think of a good Ping Pong Slogans we're missing? Or come up with a clever one of your own. Please share below.